LIENZ, Austria — Olympic champion Mikaela Shiffrin mastered a tricky slalom course on Thursday to cruise to her 36th career World Cup win. Backed by a huge 1.14-second lead from the opening leg, the defending overall World Cup champion avoided risks and posted only the 11th-fastest time in the final run but still comfortably beat second-place Wendy Holdener of Switzerland by 0.89 seconds. Frida Hansdotter of Sweden was 1.22 behind in third, and Bernadette Schild of Austria was a further 0.55 behind in fourth. "It was a wild ride," Shiffrin said about her second run on the Schlossberg course, where she earned her first career podium six years ago. "There were a couple of weak spots but there were definitely some spots that were really fast." 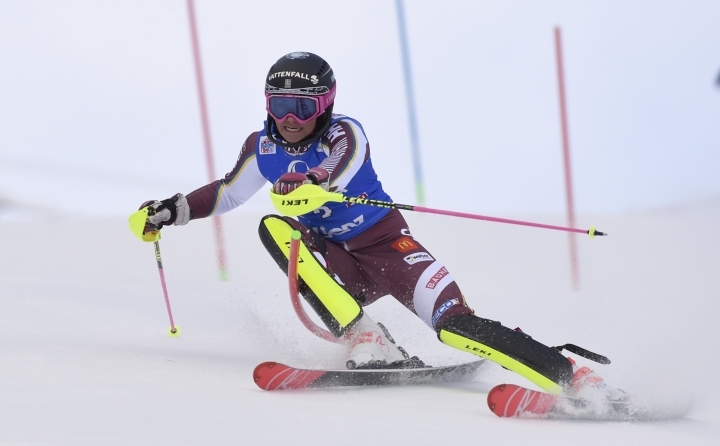 Initially a GS was planned but organizers swapped that race with Friday's slalom because of weather conditions as overnight snowfall forced course workers to move fresh snow out of the race line. "With these conditions, the snow is so wet, it's actually really good, but it is very aggressive, it can be difficult to find the timing. But I felt really comfortable," Shiffrin said. The American used a well-controlled run and lost bits of her advantage from the opening leg at every split time but never saw her lead put in danger. "There are spots where you can let it go and spots where you have to keep in mind not to throw it all away," Shiffrin said. 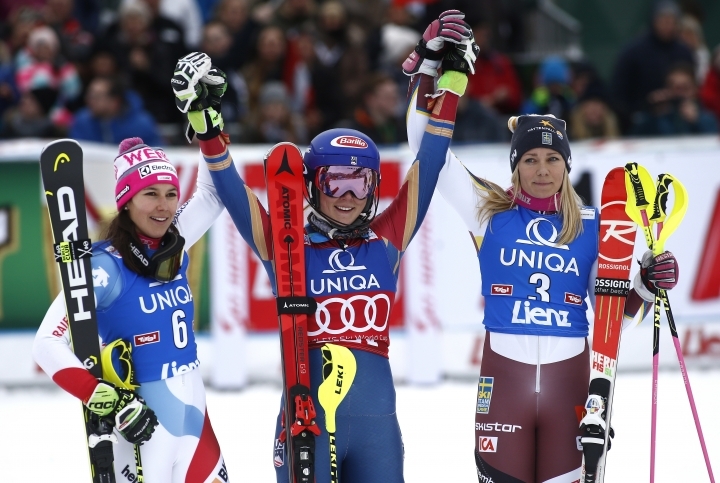 Holdener led the race before Shiffrin, the last starter as winner of the opening run, denied her a victory once again. 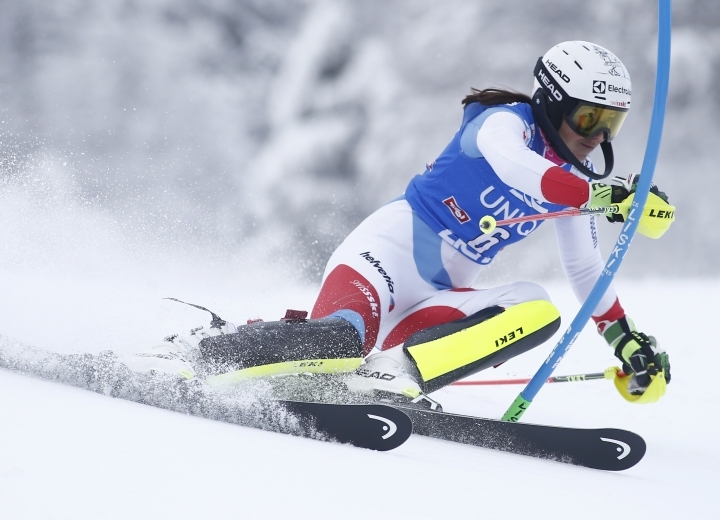 The Swiss skier has 12 podium finishes in slalom but is still awaiting her first win. "I was angry about not finishing my previous slalom in Killington a month ago, so I am satisfied now," Holdener said. The win stretched Shiffrin's lead in the overall standings to a massive 391 points over second-place Viktoria Rebensburg. The German skier does not compete in slaloms but will start in Friday's GS on the same hill. Shiffrin also went further ahead in the discipline standings, 75 points clear of Petra Vlhova of Slovakia. 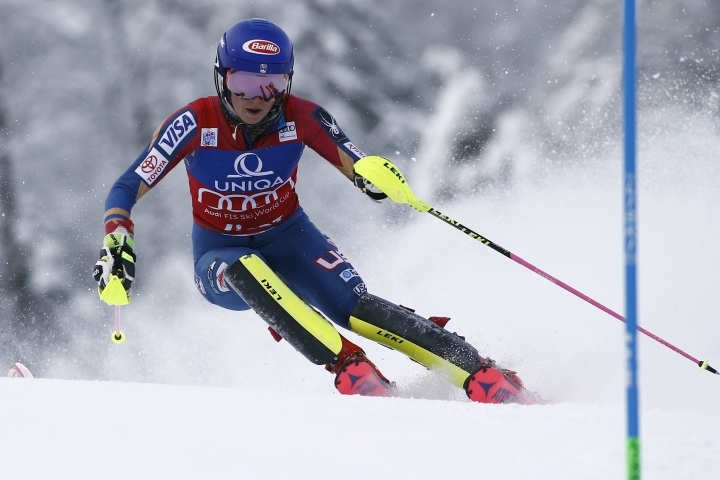 Shiffrin has won 18 of the last 23 slaloms she competed in, but she was beaten by Vlhova in the season-opening slalom in Levi, Finland, last month. Vlhova had a costly mistake in her final run and shared fifth place with Estelle Alphand, daughter of former ski racer Luc Alphand. Now starting for Sweden, Alphand posted the fastest second-run time and earned her first career top-10 result. Hours before her smart final leg, Shiffrin had an outstanding opening run on a course set by one of her coaches, Jeff Lackey. "I was really loose. And I didn't have any mistakes or anything, so for sure I really had a fast run," said Shiffrin, who holds the record for the biggest winning margin in a women's World Cup slalom since beating the field by 3.07 seconds in Aspen, Colorado, two years ago. Shiffrin didn't think that her coach placing the gates was a big advantage for her. "When my coaches set a course, I say, 'Don't tell me, I don't want to know your set, I don't want to know what you are doing'," Shiffrin said. "Actually, this course was really straight in the fall line and pretty high speed and that's normally not my advantage."